Kindle is a fantastic resource for affiliate marketers – and the strategy you’re about to learn is one that few affiliates have applied, so the field is wide open. It’s going to require a small amount of product creation on your part, but there are double benefits involved. Kindle is a platform on Amazon that’s 100% free for you to use where you can self publish your eBooks and reports to a large global audience. But as an affiliate, your goal is to promote other people’s things. 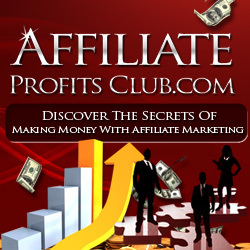 Affiliates are like all other marketers – they have to produce a variety of content – for their blogs, websites, email autoresponders, opt in giveaways, and more. So creating a short report shouldn’t be too difficult. Your goal is to create these short reports, load them onto Kindle for sale at a low price point of $0.99, and let the book sell to the masses – with your link in it! The link will go back to your affiliate site, or even to your squeeze page where you promise them another book (only free this time) if they sign up to your list. So let’s say you had a site that promoted household organization products. You could write an entire series of Kindle creations about how to organize various rooms in your house (and outdoors, too). Start with a broad “How to Get Organized” book and then branch off into more specific areas. Kindle has a Select program that you can enroll in, too – and this lets you give the book away for five days out of the 90-day period. During this time, you’ll want to sign up to promote it at all of the major Kindle promotion sites that like to feature free books for the day. This greatly expands your exposure because you’ll get free downloads from all of the people who signed up for notification. Plus, Amazon Prime members can borrow your book from the lending library if you enable that feature. But you still get paid for the borrow – sometimes even more than what you’d make for selling it at your cheap price point. If you choose not to use KDP Select, which restricts your eBook from being sold elsewhere, then you’ll have the opportunity to sell it on your website, too. But you might want to try it out first for at least 90 days to see how it works for you. Make sure you avoid linking to products inside your Kindle eBook. That’s against the rules. You want to link them to your site so that you can capture their name and email address and then promote items in your niche for a long period of time.